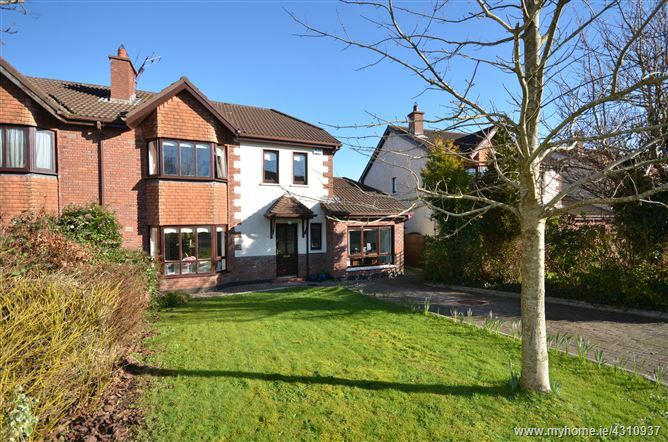 No 3 Ros Na Kill is an exceptional home in a superb location. Collins Avenue on the Dunmore Road is a popular mature residential development with immediate access to schools, shopping, Waterford University hospital, all services and amenities. This beautiful home has been lovingly maintained and constantly updated by the current owners and is presented to the market in turn key condition. Appealing traditional exterior with modern interiors finished to an extremely high standard. Accommodation on the ground floor includes Entrance Hall with under stairs storage, Guest WC, a study, bedroom 5 or play room with wooden floor and large front facing window. Sitting room with solid fuel insert Stanley stove, wooden floor and feature bay window. Bright open plan kitchen dining room with an island unit and seating area, ideal for family meals and entertaining. Wooden floor in dining area and porcelain tiled floor in the kitchen. The utility is fitted with wall and floor units providing extensive storage and is plumbed for washing machine and dryer. The property benefits from an excellent B3 energy rating. Heating is Gas fired and windows are double glazed teak. The gardens are immaculate with a variety of planting, shrubs and mature hedging. Private parking is available to the front with side access to a private rear garden. Viewers will be most impressed with the quality of finish inside and out, the privacy, beautiful gardens and the family friendly neighbourhood. Ros Na Kill is a small cul de sac of only 10 houses. This stunning home must be viewed to be appreciated.